Lauren Bigelow has served as the CEO of the Growth Capital Network since 2010. Dr. Bigelow manages programs for the philanthropic, health care and innovation community providing strategic, project management, research, analytic, and evaluative services. She uses the framework and ethnographic field techniques of anthropology to manage large scale regional and statewide programs, health and economic impact evaluations. Dr. Bigelow’s team oversees the project management of several programs including the Accelerate Michigan Innovation Competition, the Midwest Green Technology Entrepreneur Academy and the Midmarket Capital Survey. She has an exceptional professional network of senior executives and emerging technologies as well as venture, private equity, and corporate investors targeting early to mid-stage technology. Dr. Bigelow has spent 15 years in the non-profit technology space and brings a strategic perspective with exceptional execution skills on all organizational levels. Prior to GCN and before its ‘09 acquisition by Bloomberg, Lauren was the North American Commercial Director for New Energy Finance, the leading independent provider of information and research to investors in the clean energy markets. From early 2004 – 2008, Lauren was the Managing Director of the Cleantech Group where she oversaw the firm’s technology and innovation pipelines. She is currently on the investment advisory boards of the Zell Lurie Fund and Belle Capital Michigan. 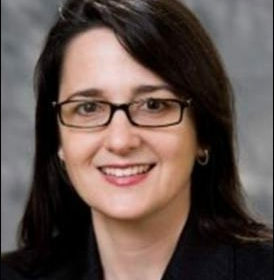 She is on the board of the Energy Innovation Business Council, the advisory board of the Erb Institute, the Great Lakes Leaders Council and the Michigan advisory council for the Environmental Law and Policy Center. Dr. Bigelow is a lecturer at the Ross School of Business at the University of Michigan. She has a bachelors in Economics from the University of Michigan and masters and doctorate in anthropology from Northwestern University.